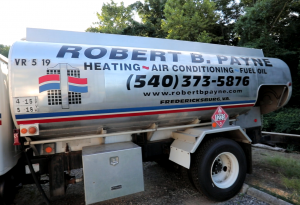 Heating Oil & Fuel Delivery Fredericksburg and Surrounding Areas | Robert B. Payne, Inc. Heating oil is a fuel source traditionally used to power home furnaces and hot water heaters. Today’s heating oil and the systems they power are anything but old-fashioned. Heating oil and oil powered systems are energy efficient and environmentally friendly. Many households depend on this fuel source and we at Robert B. Payne, Inc. are happy to provide heating oil delivery services to our neighbors throughout the Fredericksburg area. Oil powered heating systems have enjoyed enduring popularity for being easy to use, for generating consistent heat, and for being an effective heating solutions in homes of all sizes. Today’s oil powered systems are increasingly energy efficient, so the money you spend on its operation delivers more value per dollar. Heating oil is likewise efficient. It burns evenly and delivers a consistent output. Since oil powered furnaces require users to add fresh supplies of fuel, owners of these systems have to plan ahead. Fuel delivery from Robert B. Payne, Inc. distribution associates is one way of ensuring that you will always have the oil you require whenever the need arises. In noting that the need arises, we offer delivery services of home heating oil. This means, should a homeowner be in need of fuel sooner rather than later, our elite team of skilled drivers can deliver this fuel to a residence rather quickly. We understand the importance of keeping your home at the status quo. Should an emergency occur, our emergency oil delivery team is also at the ready. They will provide instant service to those in emergency need of it. What constitutes this kind of need? Well, that depends on what the fuel-burning source is. That conversation can easily be had with our delivery crew. The service was great! Employee Jonathan Zimmerman was polite, professional, and answered all my questions. I would recommend and request him in the future. Companies will always select a delivery company that meets their needs in a timely manner, not those that call to say their service is being delayed. This is why so many companies choose Robert B. Payne, Inc. for their oil delivery needs. We deliver efficient heating oil for furnaces and hot water heaters across the region without letting any unwanted problems stop us from doing the job we vowed to complete when we took you on as a client. Oil has long been used to power heating systems during the coldest months of the year, so it comes as no surprise that many homeowners will need oil regularly throughout the winter in the area. Business owners just like yourself trust that our affordable heating services will be there when you need it the most. In addition, we can certainly vow that our oil delivery services are affordable, so you can keep on budget for this quarter. How much heating oil can I order, and what is your minimum delivery? In an effort to service our customers to the best of our abilities, we provide more than simple delivery services to each commercial business that purchases heating oil from our company. We offer high quality oil that ensures your entire system runs at peak performance all of the time. With automatic oil delivery, we can be there before your tank hits empty in order to refill the system and keep you running smoothly and without faltering. As for a minimum delivery amount per order, we have a 150-gallon minimum for commercial properties looking for heating oil. To take advantage of this, you can give us a call at any time, and we can deliver the oil to your place of business in as little time as possible. Simply give us a call today; we’d be more than happy to help you with your heating oil needs. Just let us know where you need the oil delivered, and we will be there in a timely manner. 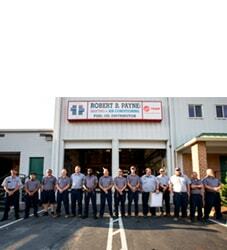 While many service providers require homeowners to be present at the time of delivery, Robert B. Payne, Inc. does not. We only need you to unlock your tank, and make it readily available to us. Our technicians can complete the oil delivery without any hassle, whether or not you are at home. We pride ourselves on our convenient and prompt delivery services. 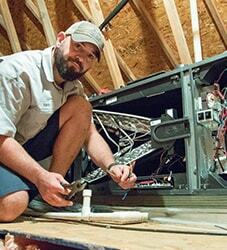 Our technicians work to make things as easy as possible for you. If you are home, that’s great! Feel free to ask a few questions, inquire about your heating oil, and learn a bit more about our services. If you’re not at home, though, don’t fret. We’ll take care of the delivery and be out of your hair before you ever make it back. Just give us a call and let us know beforehand that you have unlocked your tank and made it ready for delivery. What distance can the storage tank be from the delivery tanker? The majority of fuel hoses attached to oil delivery trucks reach 150 ft. (or 45.7 m.). If your heating oil tank is further than this, or is difficult to access, you should call and let our technicians know as soon as possible. Alternatively, leave a note in your delivery instructions. Our technicians will see this note before leaving for the job, and take action appropriately. We do everything in our power to deliver your heating oil without hassle. To do this, we just need information from you. In most cases, our technicians can successfully deliver your heating oil no matter the distance to your storage tank. Furthermore, our driver must have access to the tank fully to perform a visual inspection during delivery. 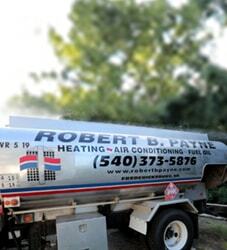 Trust the experienced heating oil technicians at Robert B. Payne, Inc. to deliver quality oil on time, every time! Submit a Oil Delivery Request Now Here! We are able to provide churches with special rates; just call or contact us through the online form. A service representative can give you more information. Whether you need frequent fuel delivery or just a few refills a year, you can count on the delivery team at Robert B. Payne, Inc. If you are in the Fredericksburg area, you can contact or call us at (540) 373-5876 or toll free at (540) 373-5876. Customers can also reach us by using the online contact form.